Picking a seatwarmer should be the political equivalent of a layup. So why is Florida Gov. Charlie Crist suddenly in so much trouble? They occupy a thankless place in the annals of American politics. Their job is to avoid overshadowing their patrons, keep their ambitions in check—and above all, do no harm. They’re Senate seatwarmers, and they make for exceptionally challenging trivia questions. Quick: Who succeeded John F. Kennedy in the Senate when he won the presidency? Teddy, eventually, yes—but he was too young to take office immediately. So Massachusetts' governor appointed an old friend of the Kennedy family, Benjamin A. Smith, to hold down the fort until JFK’s youngest brother turned 30 and could legally seek the seat. Florida Gov. Charlie Crist, a rising star in the national GOP, knows about seatwarmers. He had the chance to pick one this summer, when Republican Sen. Mel Martinez decided to step down early rather than seek a second term in 2010. Crist himself had already announced his intention to run for Martinez’s spot. Choosing an ally who would serve briefly, then step aside when the election rolled around, seemed like child’s play. But Crist stumbled badly. His seatwarmer, former Crist chief of staff George LeMieux, has become a significant political liability—and the guy hasn’t even been sworn in yet. On Thursday, CBS4 News in Miami reported that Charlie Crist’s choice to fill a vacant Senate seat runs a law firm that was responsible for securing dozens of visas for foreign workers to enter the country and help construct the St. Regis hotel and condominiums in Bal Harbour—a move that left American sheet metal workers out of a job. Then, LeMieux’s baggage got heavier. On Thursday, CBS4 News in Miami reported that LeMieux’s law firm “was responsible for securing dozens of visas for foreign workers to enter the country and help construct the St. Regis hotel and condominiums in Bal Harbour—a move that left American sheet metal workers out of a job.” Not exactly the kind of headline a new senator—let alone his ambitious patron—is looking for. LeMieux resigned as Crist’s chief of staff a year ago, returning to Gunster Yoakley, his old law firm, where he became chairman. The Florida-based firm touts as part of its practice the ability to assist firms in hiring foreign workers to replace American laborers in the U.S. The law firm was hired by CYVSA International, a Mexico City-based company which had been selected to install heating and air conditioning ducts at the St. Regis. The company wanted to clear a path for its employees to enter the U.S. According to CBS4 News, the foreign workers “were paid substantially less than the American sheet metal workers would be paid.” The station also reported that the Mexican workers maintained they were asked to work overtime without being compensated. The issue has particular resonance in South Florida at the moment; according to the Sheet Metal Workers International Association, unemployment in the construction industry is at an all-time high, with between 1,000 and 2,000 sheet metal workers out of work in the region. There may be more trouble ahead. The Florida press corps has begun investigating Gunster Yoakley’s work in other areas. The firm also represents U.S. Sugar, leading the Palm Beach Post to wonder how LeMieux will vote on a farm bill that includes price supports for sugar. There is no indication that the latest news or the slew of critical editorials will force Crist to reconsider his choice of LeMieux (who is slated to be sworn in next week). Polls show Crist remains popular across the state. He’s got a well-stocked campaign warchest. And he’s still considered by many the odds-on favorite to win the Senate seat. But for a governor who prides himself on his ability to steer clear of potholes, the firestorm over his selection had to come as a bit of a shock. LeMieux, the married father of three, grew up in Broward County, Florida; after graduating from Emory University and Georgetown Law School, he returned home and became chairman of the local county GOP. When Crist became Florida’s attorney general in 2002, he hired LeMieux as his deputy. When Crist ran for governor, he tapped LeMieux as his campaign manager—and, after he won the statehouse, hired LeMieux as his chief of staff. LeMieux was considered such a smooth political operative that he soon earned the nickname “The Maestro.” “He’s the senior partner and I’m the junior partner,” LeMieux once said in describing his working relationship with Crist. The partnership is now officially a problem. Democrats who are gearing up for the fall election suddenly have an issue to use against the GOP. And conservative Republicans, who see Crist as too moderate, are energized—and rallying behind a telegenic young Cuban-American named Marco Rubio. For a seatwarmer who’s supposed to blend into the woodwork, LeMieux sure is generating a lot of noise. 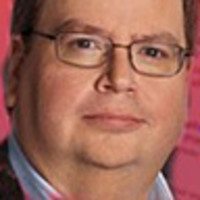 Jim DeFede is a reporter for CBS4 News in Miami.